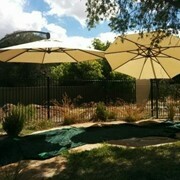 The Horizon Umbrella Range are Square Non Retractable Umbrellas made from low maintenance, heat reflective, UV treated, fully welded membrane rated to withstand 118 kph wind. 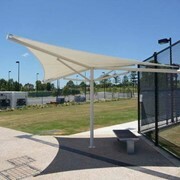 Centre column, non retractable umbrellas suitable for the harshest of conditions and wind rated to 118 kph, makes the Horizon Umbrella truly unique. 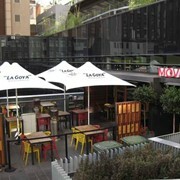 Options of lighting, electric heaters and PVC curtains available. 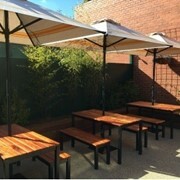 Suitable for the harshest of conditions and wind rated to 118 kph. 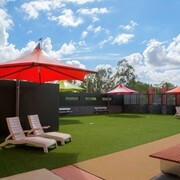 Skyspan Umbrellas is a leading, Australian based umbrella and shade solutions company with head office located on Brisbane’s south side. 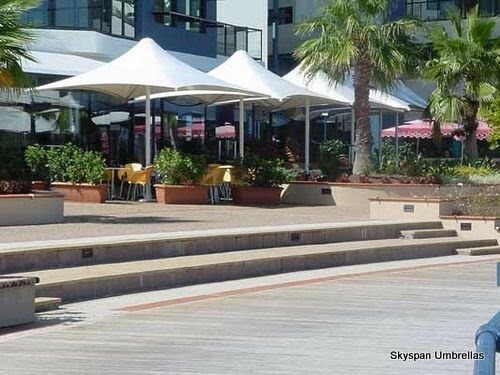 Skyspan is committed to creating innovative design approach, precision engineering and reliable delivery of free standing architecturally designed commercial umbrellas and tensile membrane structures of all sizes. 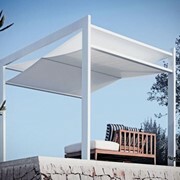 Reputed as an industry leader in the design, manufacture and installation of commercial and residential shade products, Skyspan has representatives in all capital cities, with services span throughout the world, including Asia and Europe, and a most recent division opening in North America. 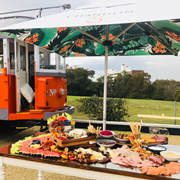 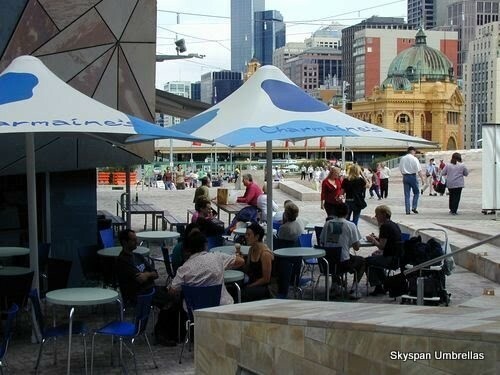 Mention HospitalityHub so Skyspan Umbrellas can best assist you! 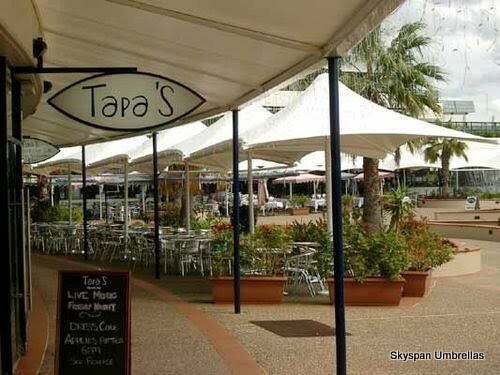 Get a callback from an expert at Skyspan Umbrellas to help answer your questions.